You may be aware that, here in the UK, cars are placed into one of 50 insurance groups with the cheapest makes and models to insure being found within insurance group 1 and it will come as no surprise to you to read that the most expensive cars to insure come within insurance group 50. So, if you are looking to buy an expensive, up-market car and are price conscious, you may want to check what insurance group the particular car you are considering buying falls into. Of course, it is not just the insurance group that a car falls into that dictates how much your car insurance will cost. Other factors include your age, where you live, where you intend to park the car overnight, how many miles you expect to drive in the vehicle each year, what you intend to drive the car for i.e. is it for domestic and pleasure including commuting to one place of work or will you use it for some form of business purpose, what level of cover you require i.e. fully comprehensive, third party fire and theft or third party, do you have any penalty points on your license and have you made any claims say in the last 5 years on any motor insurance policy. It probably does not comes as a surprise to read that some of the costliest cars to insure are going to be the more expensive models as well as those that are very powerful. For instance, the likes of a Rolls Royce and a Bentley are going to come within insurance group 50. Also, an Aston Martin may come within that insurance group here in the UK. Certain Audis come under the most expensive insurance group such as certain models of the A8 Saloon and A8 S8, the R8 Spyder and R8 Coupe and the Q7 SUV. Also the Audi 16 RS6 Avant and the A7 RS7 Sportback. It will not come as a surprise to read that various BMW models come under insurance group 50 such as the 6 Series Convertible, certain 7 Series, the 8 Series Coupe, the i8 Roadster, certain X5s and X6s and certain BMW Alpinas. A number of Jaguars such as certain F-Types, XKs, XJs, XFs and the I-Pace SUV come within insurance group 50. Certain models of Land Rover come under the most expensive insurance group such as certain Range Rovers. It probably does not surprise you to read that certain models of Mercedes-Benz come under insurance group 50 such as certain specifications of the AMG GT, C-Class AMG, CLK AMG, R-Class, S-Class, CL, M –Class, GL- Class. 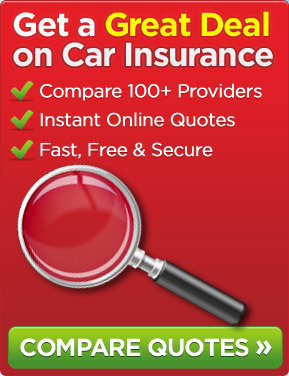 It is quick and easy to check which cars come under insurance group 50 just by using the Internet. It is also simple to obtain a car insurance quote online. This entry was posted in News and tagged Car Insurance Group 50, Car Insurance Groups, Expensive Cars To Insure. Bookmark the permalink.